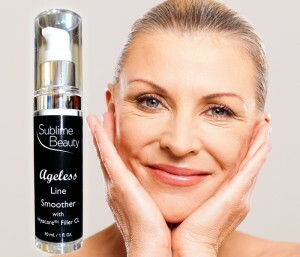 Learn About Our Ageless Line! The ingredients, mainly from France, work to boost collagen, smooth and revive skin, reduce hyper-pigmentation and help skin to become more youthful and healthy. This is important because we L OSE collagen and other essential elements of the skin as we age, causing the lines, sagging and thinning of skin. 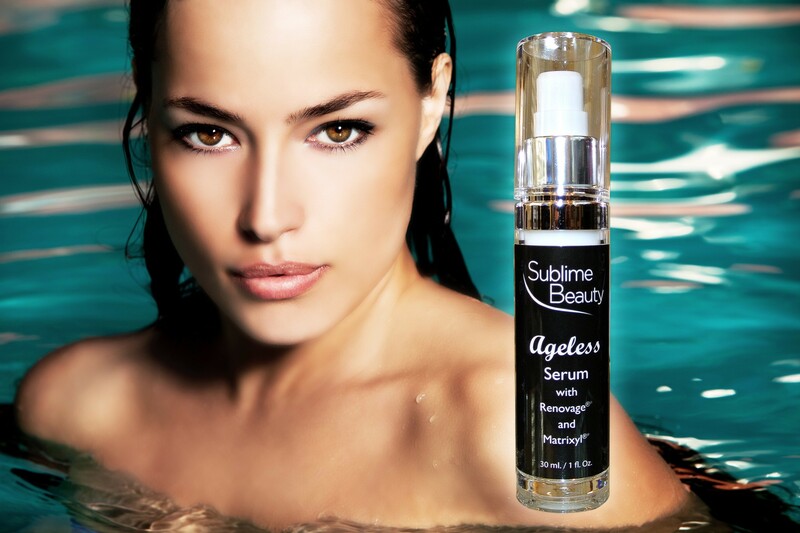 Each serum below includes the exact ingredients on the product page (at Amazon or SublimeBeautyShop.com) plus a Product Brochure about the ingredients and clinical tests is available at SublimeBeautyShop product pages as well! Renovage® has been called the new “fountain of youth” by scientists. It lengthens skin cell life, repairs damage at the cellular level, and reduces the major signs of aging (redness and discoloration, pore size, wrinkles, sagging, elasticity, dryness and ability to hold moisture, collagen synthesis). Another fantastic ingredient developed in France is Matrixyl®. Matrixyl® is a peptide that boosts collagen levels and can double production. Independent tests by chemist Iam Hamley at Reading University were published in Molecular Pharmaceutics magazine and discussed in this article for more background. The additional patented ingredients in our Ageless line: Hyacare Filler® CL uses the essential hyaluronic acid to help fill lines and plump skin while hydrating it. Sesaflash® is based on sesame and is an effective tightening agent. From Evonik Industries, in clinical tests, this photo (fluorescently labeled) shows skin cells 1 month before and after treatment with the Hyacare® Filler CL. The photo here shows treatment with Sesaflash® 10 minutes after application (10% strength, same as our Serum), courtesy SEPPIC. The photo below shows before and after 1 month treatments with Matrixyl® at 3% (same as in our Ageless serums) courtesy Sederma. * As a summary, the Ageless Line Smoother is a Line Filler (dermal filler) that work son smoothing out those lines that we all get without needles! Hyacare® Filler CL is a patented formula that includes the essential hyaluronic acid, so essential to plumping and moisturizing the skin and protecting collagen. It also includes Matrixyl and Argireline (the natural botox). This is a light, smooth serum to be used twice daily. * The Ageless Serum has the great Renovage® and Matrixyl® included, and focuses on reducing the 8 main signs of aging! This includes smoothing and hydrating skin, reducing pore size, reducing age spots and increasing elasticity and skin cell life! * Finally, the Rapid Skin Tightener tightens skin within 30 minutes with Sesaflash® (a sesame based patented formula) with longer-lasting improvements plus Renovage® and Matrixyl®! 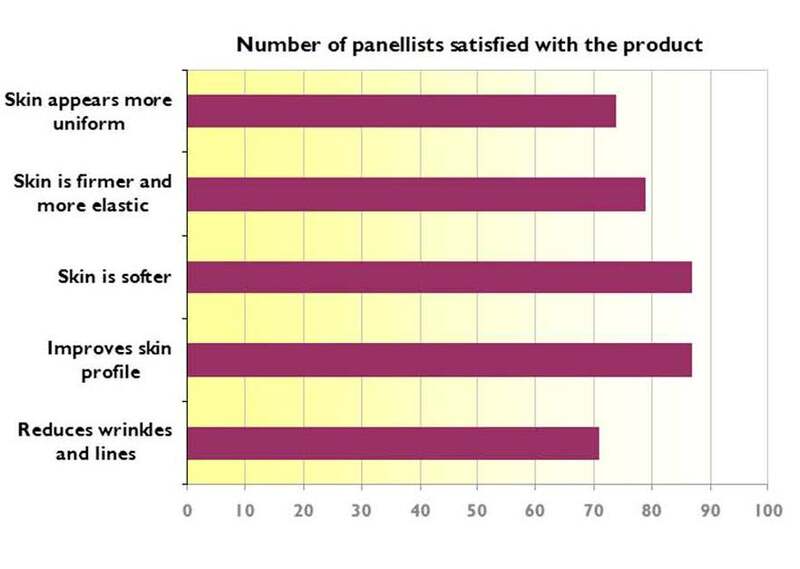 Skin feels tighter and looks smoother with use.